AUTHOR<< << COME TO. "THE GRACE OF THE ETERNAL" TRANSLATE . "FROM THE AUTHOR TO ALL IN ALL NATIONS"| "MEET THE PASTOR / AUTHOR"
"GOD IN THE NEW WORLD ORDER"
"WORKING FOR A BETTER WORLD"
"A Prayer In Works Of Grace"
,"FROM THE AUTHOR TO ALL IN ALL NATIONS"
.I hope that "GOD IN THE NEW WORLD ORDER" will be read through its entirety and Names named, without any impeding preconceptions of Spiritual matters, thereby freely giving yourselves a chance to obtain the increasing profit of your Inheritance that always awaits enhanced inspiration. You can utilize the Truth brought to light, for defense against the deception and oppression that commonly assail us all, and for further attainment of the truly good life. We should expect the Best from our One GOD, knowing that His Presence of Infinite Loving Kindness is meant for all of us. It is our great good fortune, that It Is His Good Pleasure to Give us Grace and Truth, for prosperous, joyful, everlasting peace. With a revealing elucidation of the Inspired Written Word of GOD, this book is a faithful offspring of The Eternal Truth in the Holy Bible. In Its Truth is protection and liberation of our ailing humanity and alien world from its captivity of repression and destruction. Lost is the realization of the importance and need of True Knowledge of GOD, and His Loving Kind Purpose and Salvation, to a great many without it who lack hope, with lives wasted in the darkness of deception, sorrows and confusion. The Eternal Word of Life found in the Holy Bible Is Constant throughout the changing times, but I am convinced, having struggled through the abysmal and deceptive void, that easy, earnest guidance for understanding of Its reliable Refuge and Benevolence is a proven necessity in today's burdened world. in our ONE GOD, Creator and Everlasting FATHER. "Gerry, GOD has Given you the Gift to write beautifully. GOD Exists, He Loves, He Cares ..." "A TRIBUTE TO MOTHER TERESA"
Gerry M. Kaye, witness to the Intense, yet Gentle, Benevolent and Compassionate, Perfect Familial Love and Grace that Surrounds and that Is steadfastly Present in The FATHER. Susceptible to the prayerful necessity of compliance to the Perfect Law of Liberty in the Word Fulfilled Given by Jesus Christ, by belief and consummate love to the Pleasing of The FATHER. to the Anointing of the Holy Spirit. Called and ordained to the Priesthood with merciful, pure motive for the Cause of spiritually expressing to the nations, for universal belief and everlasting Salvation, the Will and Living Word of the Holy Spirit of GOD, within the True Foundational Principles of the Everlasting Kingdom of GOD in His Eternal, Perfect Truth and Righteousness. His Purpose is for unity and peace in non violence and non carnality: succinct, specifically in the Perfected Law of Liberty in Kindness, Love, and Mercy that IS the Perfect, Holy Spirit of GOD Most High; found in His Eternal, Living Word in The Holy Bible. .Non-partisan, with no affiliation with any political party, only Godly, Scriptural Truth and Righteousness influence these works, put forth for the benefit of all." New Jerusalem CHURCH On The Rock.
."A Prayer In Works Of Grace"
"GOD IN THE NEW WORLD ORDER" from CHAPTER II. cast up, cast up the highway; gather up the stones; lift up a standard to the people. Gen. / Secretary Colin Powell, When Chairman of The Alliance For Youth: "We're on the march. .. It's a Crusade! ...We need to stop building jails and get to the task of building our kids." The strength of our society is measured by the values that our citizens share." Congressman Tom Delay: "America needs a religious revival!" Steve Forbes, Businessman: "Abortions are a moral wrong and a national tragedy. ... I believe that we as human beings are Made in the Image of GOD. .... "
"All things most desirable for mankind's welfare are to be found in It. ( The Bible.} The only assurance of our nation's safety is to lay our foundation n morality and religion." President Abraham Lincoln. Who will have all .. to be Saved, and to come to the Knowledge of The Truth. As we abide in the Light with our Loving Kind FATHER, we progress in freedom in His Gratifying Perfection. The true peace that we so long for is in that personal union. In our Knowledge and trust in His Righteousness, so magnified in Him is the astounding serenity that we need, like water to a thirsty soul. We might have sought this level of love/peaceful fulfillment elsewhere, with disappointment. There is no such suffering in our GOD Most High, when we truly know Him in His Perfection of Highest Glory through His Grace and Truth; in His Ways, Works, and Words of Promise, Healing and Encouragement in His Holy Bible. This True Relationship is established through our personal and charitable primary time set apart with Him in worshipful prayer and joy, in reading His Eternal Word, and in good works; above all confusion in His Comforting Presence. and your health shall spring forth... and ... your Rereward. Out of loneliness, despair, I became Blessed, when You were there. You Made my hand to draw, to write; to turn the darkness into Light. where there were powers of confusion that churn illusion and delusion. Mary said, My soul magnifies The LORD. And my spirit has rejoiced in GOD, my Savior. has Done to me great things, and HOLY Is His Name. You Make the darkness disappear, I draw You close, You Hold me near. For there's True Love in Thy Embrace, ever New Love in Works of Grace. and My Blessing upon your offspring. ...The Words that I Speak to you, They Are Spirit, and They Are Life. The LORD also shall be a Refuge for the oppressed, a Refuge in times of trouble. Just and True Are Your Ways, KING of Saints. Continue to Chapter II of "GOD IN THE NEW WORLD ORDER"
"SAVING THE SOUL OF A NATION" E ZINE IMPORTANT FEATURE: "MAKING A CHOICE WITH TRUTH"
URGENT.911 | JOIN AGAINST INFANTICIDE & THE CORROSION OF OUR INDIVIDUAL PROTECTIVE RIGHTS LAWS.
. . . "For Life, Choose Life"
THE ASTONISHING, FACT FINDING "CONGRESSIONAL Abortion DEBATE"
Let us rise, rise up together, Let us pray. We are One, Undivided, We are everywhere. in the Sight, the Sound of Jesus Who Precedes and Leads our lot. The New Jerusalem of GOD, believe, unite, within the vail. and which enters into that within the vail. His Right Hand and His Holy Arm has gotten Him the Victory! ...for there shall be no night there. "ONE GOD"featuring: "THE SON: CHRIST, MORE THAN CHRISTIAN"
"RIVALRY & REJECTION OF WHOM??" "PROOF, PROOF, PROOF"
With "For The Innocent"- "A Moment Of Silence"
"EUTHANASIA on the HEELS of ABORTION"
Hear These New Songs:. "DETERMINED" / "THE GOOD CREATOR" /. "THE BRIGHT & MORNING STAR"
"Gerry, Share the joy of loving Jesus with all around, through the songs you compose. "A TRIBUTE TO MOTHER TERESA"
" Memories, Mementos, And Revelations." .IMPORTANT FEATURE: "MAKING. A CHOICE WITH TRUTH" || AN OPEN LETTER TO THE UNITED STATES CONGRESS. Medical & Congressional Factual Testimony; Rejected Facts in Democrat Partisan Politics. "MEETING OF THE MINDS" Of Science & Spirituality. With "THE POWER OF PRAYER IN MEDICINE" HIGHLY SIGNIFICANT FINDINGS In Results Of Studies Into The Power Of Prayer. With "LET US, UNITED, PRAY For All Our Children & Our World." in that day that I AM He that Speaks: Behold It IS I.
DEPRESSION / SUICIDAL DEPRESSION. WITH "SOMETHING TO LIVE FOR." "HOW CAN MY HEART LIVE?" "The Bitter & The Sweet", "Perfect Peace", "Blessed Reciprocation". .STREAMING Sermons | "Saving The Soul of a Nation" E-ZINE...| . MORNING STAR Zine...| .A New ZINE:"Seal One"
| HOME | PORTRAIT OF CHRIST | PLACE AN ORDER | Email. "WE ARE BLESSED" " PURPOSEFUL PROSPERITY"
...With His Everlasting Truth in the Holy Bible, that differentiates from its temporal, transgressional, historical events. "Glory to GOD" & "Liberty"
MEMORIAL SERVICE FOR THE VICTIMS OF THE SEPT. 11, 2001 TRAGEDY..
"RIVALRY & REJECTION OF WHOM??" GET THE ANTIDOTE FOR FEAR!
" ON THE DOCTRINE OF SALVATION "
with " He IS The SAVIOR "
"The visits to this Web site are in the many thousands weekly and are steadily increasing. This Ministry Is Making A Positive Difference, Worldwide, In The Lives Of Many. by contributing, is fast and easy. Just click below and it is done in no time. when you contribute any amount on a safe and secure server. Please Comment at the Thank You. TRANSLATE this page automatically. < Various European, and Japanese, Korean, and Chinese. Arabic / Enter the HTTPof the page that you want to translate. .. 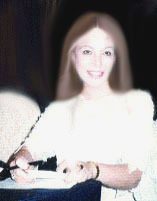 Web site edited & updated Sept. 21, 2001 by Gerry M. Kaye. Updated 2001; 2002; 2005. (c) copyright 1999-2004 by Gerry M. Kaye. All Rights Reserved. 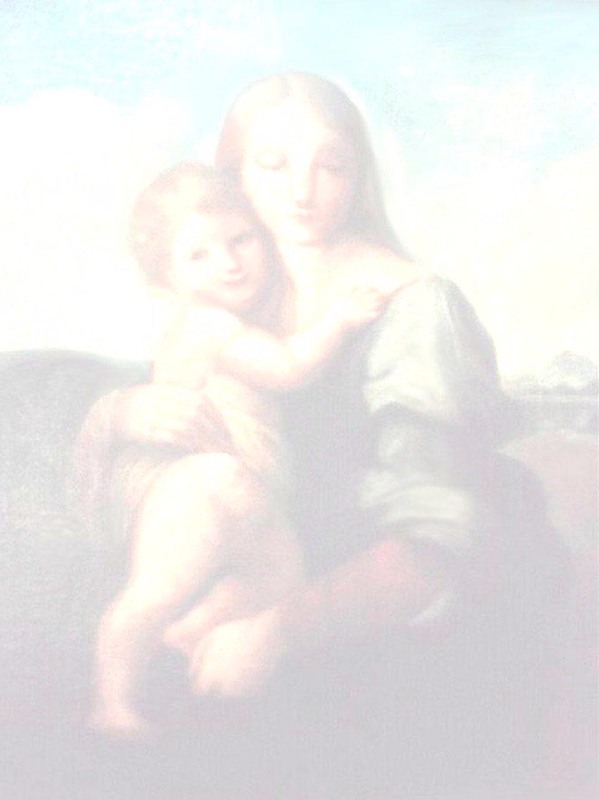 Art Background: "THE MADONNA OF THE TOWER" Adapted from a RAPHAEL (Raffaello Sanzio) 1483 - 1520.